We are pleased to introduce our Bearmach Shock Absorber range. Developed and tested over 36 months with a world-recognised manufacturer, we can offer standard oil and upgraded gas ranges of shock absorbers. The Shock Absorbers also come with Bearmach’s new 3 YEAR WARRANTY which covers Bearmach own-branded products. Ask your Account Manager for further details. Covered by Bearmach’s 3-year extended warranty. Advanced control for a comfortable ride and precise handling. Multi-lip high pressure seals, preventing leaks, and designed to permanently seal the oil or gas inside the shock. Heavy-duty, reinforced, double-welded mountings for long term durability. 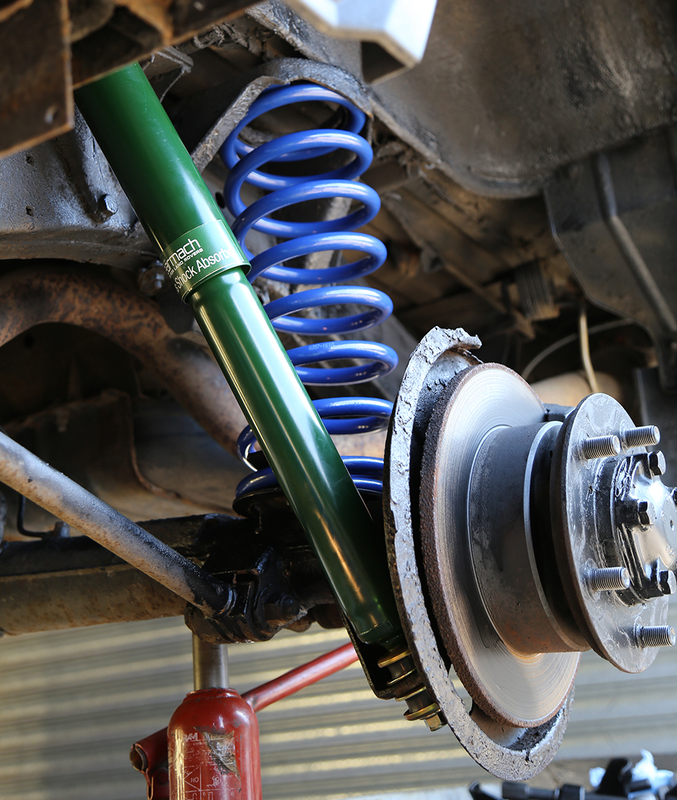 Bearmach shock absorbers are ideal for standard or raised height Land Rovers. Severe Off Road Vehicle Compliant 4WD suspension components. Comes with heavy duty bushes and cup washers.